In 2016/17, soybeans constituted the bulk of the world's oilseed production. An oil seed (or seed oil) is a vegetable oil which is extracted from a plant’s seed rather than the fruit. The specific part of the seed that has the oil is the endosperm. 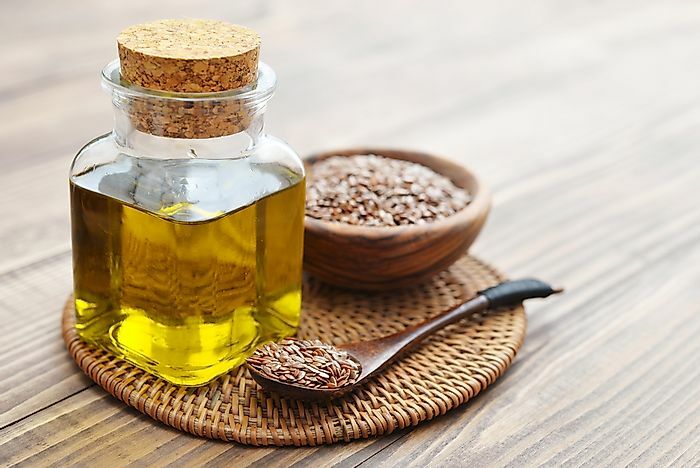 Examples of seed oils include rapeseed oil, sunflower seed, cotton seed, palm kernel, soybeans, peanuts, and copra. According to a report by the United Nations’ Food and Agricultural Organization (FAO), production of soybeans kept on increasing in 2015 in comparison to the other oil seed types. The statistic still holds as the world’s production of soybeans in 2016/17, was the highest at 345.97 million metric tonnes. The leading producer of soybeans in the world is China. In 2016/17, China produced 11.63 metric tonnes of soybeans. Other major producers of soybeans include the United States, Argentina, India, and Brazil. Approximately 85% of the world’s total soybeans production is used to produce oil and soybean meal. 95% of the oil is consumed as edible oil whereas the rest is used by industries to manufacture soaps, biodiesel, and fatty acids. Rapeseed has an oil content of 40% and a high level of protein used for animal feed. The oil content is higher compared to the soybean oil content of 18%. Among the world’s 2017 highest producers were the European Union, China, Canada, India, and Japan. The European Union was the highest rapeseed producer. It produced about 9.9 million metric tonnes of rapeseed. One major challenge faced in the production of rapeseed is the limited market for its byproducts. In the year 2016/17, the total world’s poduction of rapeseed was 68.52 metric tonnes. The peanut oil seed ranks fourth in the world’s total oil seed production after soybeans, rapeseed, and sunflower seed. Its world production is 42.28 million metric tonnes. The country which produces most of the world’s peanuts is China. According to FAO, China produces 13,336,860 metric tonnes of peanut. Other major peanut producers include the US, Nigeria, India, and Sudan. Peanut oil is preferable for cooking due to its monounsaturated content which makes it healthier than the saturated oils. Peanut is also a great source of Vitamins B and E, and minerals such as magnesium, manganese, and phosphorus. The leading producer of sunflower in the world is Ukraine. it produces about 25% of the world’s total sunflower oil seed production. Other major sunflower oil seed producers include Russia, Argentina, China, and Romania. Sunflower oil is mostly used as cooking oil in most kitchens. Furthermore, the Vitamin E obtained from it is an oxidant. It also prevents diseases such as colon cancer, arthritis, and asthma. The world’s 2016/17 total production of sunflower seed was 45.36 metric tonnes. The other major oil seeds produced and consumed in the world are cotton seed, palm kernel, and copra. The world production of these three oil seeds is 38.88, 17.02, and 5.41 million metric tonnes respectively. Subsequently, copra seed oil is the least produced oil seed.